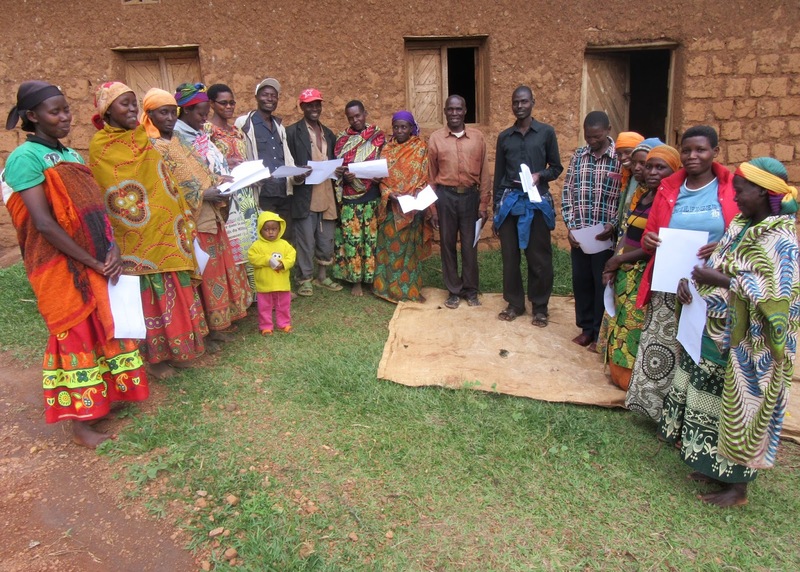 Cascade Group members not only teach their communities about health and hygiene, they also serve as dynamic change agents in all they do. In the community of Buraniro I, Kayanza, an influential Catholic priest was significantly impacted by one of his faithful congregants, Brigitte. In addition to being a Cascade member, Brigitte is also one of the model farmers trained by FH to establish “hot composting”. She successfully practices this technique in her backyard. One day, as the priest was walking through the village visiting the families that attend his church, he noticed a compost pile that looked quite different from the ones he was used to seeing. It was in Brigitte’s yard. The priest asked her about the compost and how she established it. Brigitte competently gave him all the details. The priest was so impressed that he decided to follow her directions and establish his own hot compost on the parish farm. As a result of Brigitte’s influence, the parish farm is now producing three times more fertilizer today than ever before! Because of the priest’s example and influence, many other church-goers are developing their own hot compost piles. Their fields and gardens will soon be enriched by this powerful agricultural technique. And it all started with Brigitte - Cascade member and model farmer extraordinaire.